← When is an ism useful? Some love the concept, some hate it, some (like Giulia) think it depends how it’s used. For what it’s worth, that’s my opinion. 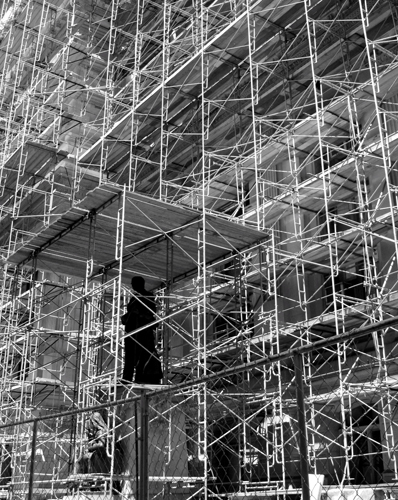 And when thinking about adult learners in things like #MoocMooc, it’s probably fair enough to expect that we’ll get along without the help of scaffolds. But not all learners are in that position. I can see why some folk dislike the metaphor. If you think literally about metal structures then it seems rigid and forced. But if, like me, you just think of it as a handy label for something that is often a good support for learners, then you might be able to ignore the visual image and focus on other times that this occurs. 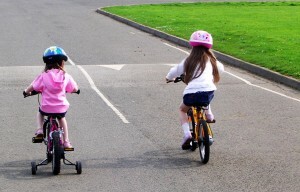 So what if we think about scaffolding as being similar to stabilisers? As dissolvable stitches? As holding a child’s hand as they take their first steps? When I teach using the Jigsaw Classroom I begin with fairly structured lessons, and gradually provide less each week as students grow in ability and confidence. That’s what I mean by scaffolding – not pinning learners down to what I want them to think, but keeping a watchful eye over them as they find their feet – something like I was saying here. For me the best analogy, though, is with parenting (and aunting – I never had kids myself, but I have a lot of nieces and nephews). 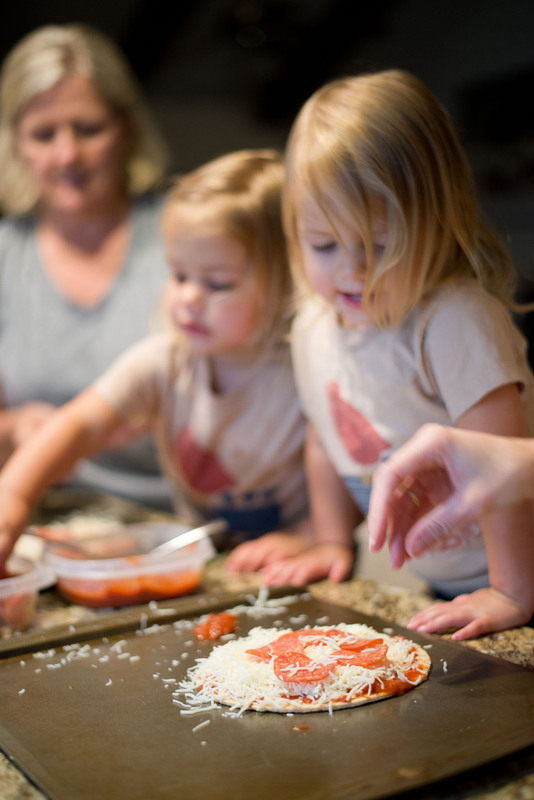 Anybody who has had children “helping” them bake a cake will appreciate how much scaffolding occurs in order to let the children believe they did it all themselves – and how, gradually, children turn into competent and confident cooks. 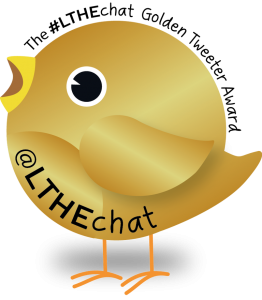 This entry was posted in #MoocMooc, Hybrid Pedagogy, Jigsaw Technique, Learning, Online learning, Teaching and tagged cooking, dissolvable stitches, parenting, pizza, scaffolding, stabilisers, Vygotsky. Bookmark the permalink. Hi Sarah–I have long fought against this term, especially in the K-12 world. The part I object to is the assumption that the “scaffold” is obvious and temporary, and that the process of removing it and leaving the students with the inner core that we had intended to teach is easy. 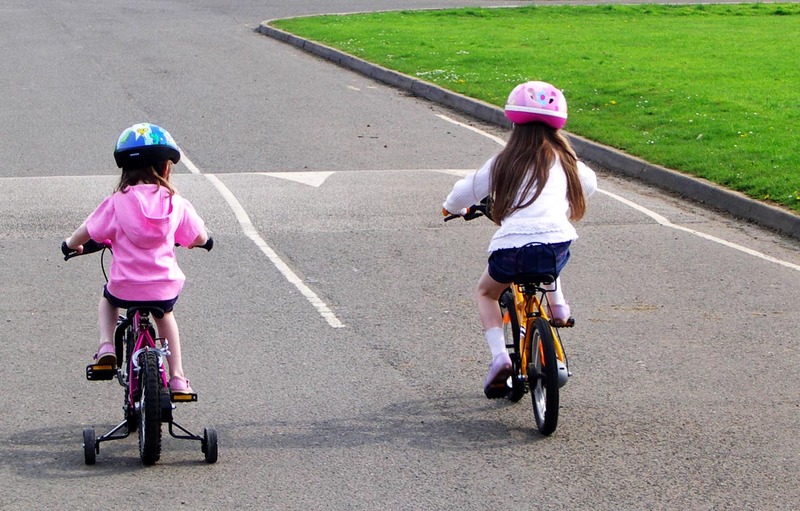 To most primary students, and even to those who are upper elementary and beyond, the fact that they are being given some kind of transitory help so they can get somewhere else is never even mentioned, much less explained to them, and the “removal” never happens. For example, one of the most widely used writing instruction programs in the US is called “Step Up to Writing,” which involves a highly structured, color-coded system to lock all writing into a 3 to 5 paragraph structure, with specific sentence styles to be used within each paragraph. The program is universally presented as THE way to write, and the fact that one can vary these structures is never mentioned. That sounds awful. I’m trying to get folk here at my Uni using peer review so that students can get used to other ways of writing and get out of the idea that there is one right way. 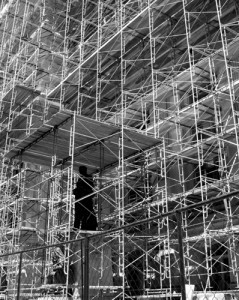 Yes, obviously, at the college or University level scaffolding as a term has quite a different meaning and history…In the US in the K-12 world it’s that bad, and worse. I have as hard a time with the near universal trap we put ourselves in with the word set beginning-middle-end….